Knit By God's Hand: Are you ready for a renovation? October will be our 21st wedding anniversary. Y'all know how much I love me some Disney & I wanted to spend my 20th year of being married sitting in Beauty & the Beast restaurant & hearing threats of how I can't sit there all day & I really do have to leave.... ahhh - the dream. But common sense played out on this one & I chose the kitchen. Because while a trip is wonderful for a lifetime of memories - a lifetime of a kitchen I live in daily is also a good choice. Except here we are almost a year later & my kitchen looks exactly the same. Worse actually. More nicks & scratches on the old counter tops - more stains on the floor. Why? Mainly because I CANT MAKE UP MY MIND ABOUT ANYTHING!!! I always say I want HGTV to come in my house, send me on vacation (send me to Disney - let me get the best of both worlds!) & make all the choices for me & let me come home to a beautiful kitchen already finished with no decisions needing to be mine. Side Note: I miss Trading Spaces on TLC. I could sit & watch that show all day long. But also note - I would NEVER want to be on that show. They made some HORRIBLE decisions. Let me avoid ALL the renovation please. I'm basically having a panic attack just at the thought of it all. I dont do well with renovations. & then I had to stop & take a second to think when our JOY group is reading "Not a Fan" & it talked about how God wants to do a renovation on our lives. Not just slap on a coat of paint, but scrape it down to the wall. Get to the base layers. Get the grime out. Get those stains out. Start fresh. But that's never pretty. Never anything easy to deal with. Not something I would look forward to. But that's what we're called to do. Let God do those renovations on us. Make those changes. Start fresh. 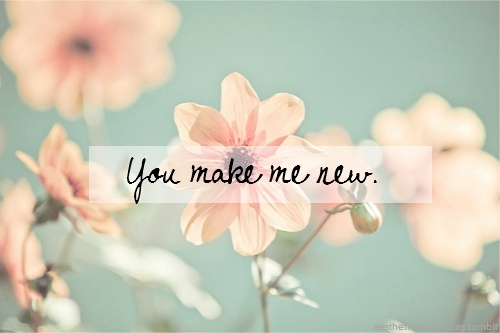 Start with a new beginning. There's no going on vacation & having someone else do it for us. We have to go through the process. We have to go through the changes. Through the hard work. It's what will make us appreciate it all in the end when we get the reveal of the beautiful new work that is done. & know what happens after awhile? I mean, I know those olive green appliances were popular at one time but I dont want it in my life now. There's always going to be time & life that makes things CRY OUT for a renovation once again. God wants it for you. He never wants to leave you behind the times. Leave you settled where you are. He wants you current. New. Beautiful. Sparkling clean. So are you ready for a renovation? awwwww yeah! kitchen renos are the best. messy and annoying but the finished product is going to be amazing. ikea has a great app where you can play with materials/color schemes etc so you can get some ideas of what goes with what. If that really is your current kitchen, that's pretty nice! I was thinking along this topic the other day how life is constantly changing (or being renovated if you will). I don't do well with change so it's been really tough on me lately! This is such a great outlook! I don't think anyone particularly loves renovations, but you're so right. You have to go through the process and live with chaos amidst change to really appreciate the end result. Great post! I would have chosen the kitchen renovation, too. I'm wanting one in the worst way. I wander through Lowe's with lust in my heart. IKEA makes my blood pump faster and decorating magazines call like the Siren's song. My head is so full of ideas, that like you...I'm not sure I could decide which one I want to live with forever. I miss trading spaces, too. My daughter and I used to make a big bowl of pop corn and prop ourselves up in my bed to watch it every week while the boys watched their icky boy stuff in the living room. I miss the show and those times with my girl. Love the picture you chose, I think that was my absolute favorite epic fail. Hay on the walls....it was truly gruesome. What a great metaphor about not being able to "go on vacation" during the hard times in life. When that kitchen is done you are going to feel SO GOOD. Maybe a tan tile for the floors? Dunno. I'm AWFUL at matching wood to stuff. We renovated our kitchen a couple weeks ago and while it was a bit of a pain, it was so worth it afterward! The first step is the hardest but it gets easier after that :) I used to love Trading Spaces, but I agree, they made some really strange decisions on that show. Just when I thought we were so alike ... you go and diss on my hay walls. JUST KIDDING! That was one of the worst ideas ever ... unless you have a horse living inside the house with you, then you'd have to keep slopping more glue and hay on the walls. I'd totally pick the renovation - but I can't even pick out paint colors to save my life. All the details involved ... even drawer pulls options give me a panic attack. I'm with you though - bring in someone else and let them make all the decisions! Good luck! I could use a personal renovation...all the time i guess. I loved Trading Spaces so much! I hated some of the crazy ideas for theme rooms they came up with but Vern and Laurie were usually amazing!! Vern was the man :) I like my Property Bros. now- I need them to come to my house. i totally would have chosen disney. hahaha jk. you are right about things being dated again in like 15 years. i don't really care what my kitchen looks like, i just want more counter space and everything to work. i'd also like a bigger fridge/freezer. but i am way more about function than how it looks, because everyone's tastes are different. my house will never be pinteresty and i'm okay with that! Ahh I wanted to be on Trading Spaces Kids version SO BAD. It was like my favorite thing to watch growing up! The adult version too! Oh kitchens. Yeah, get ready to be BFF with your crockpot & just buy a stack of paper plates - you'll thank yourself when you don't have to wash dishes in the bathroom sink or tub! I pretty much just want to pick a Pinterest picture - hand it to someone & then walk out until it's done. But, probably never gonna happen. love this post. what a great analogy!! I LOVE my new floors, they are a laminate but looks so much like wood..no one can tell. You have reminded me that I have never posted a before and after picture!! 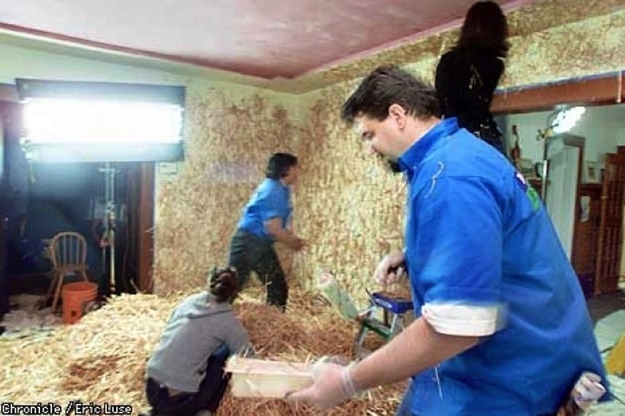 I loved watching trading spaces and remember that episode with the hay.....seriously?!!! Who thought that was a good idea?! Remodel is never easy and in the middle of it all you question your sanity, but the end result is so great!!!! and worth it all! Ahhhh tough decision but I think the kitchen renovation is what I would have picked as well!!! As far as the flooring goes, a neutral like ceramic tile?? You made the right choice, sparkly and new feels so good in a kitchen. Trading Spaces em was my jam, the original makeover show....so fun!! Can't wait to see it!!! It'll be spectacular! Really good connection between personal renovation and kitchen renovation. Both are painful but you come out so much better on the other side. On the choices: Just pull the trigger. Hemming and hawing will only prolong the process. We did a cheap, neutral, large block ceramic tile off the shelf from Home Depot and never regretted it. We need a kitchen reno really, really bad, but I'm with you on that TV show...I saw the episode when they put feathers on the walls. Horrid!! I was hoping you were coming to Disney World because I would drive over and treat you to dinner one night....or have you come to Lakeland for a day away from Disney! :) Keep us posted!! Haha, I am right there with you sister! We are getting our kitchen remodeled, sort of, keeping the cabinet bases but getting new drawers and cabinet doors and changing out the back splash, which I have NO idea what to do...yikes! We can do this and make decisions too! I MISS TRADING SPACES! I would never be on it either though...especially if Hildi was the designer--she was crazy! We remodeled our house before moving in 7 years ago. NEVER again! We've flipped houses, too. NEVER again! I hate remodeling!